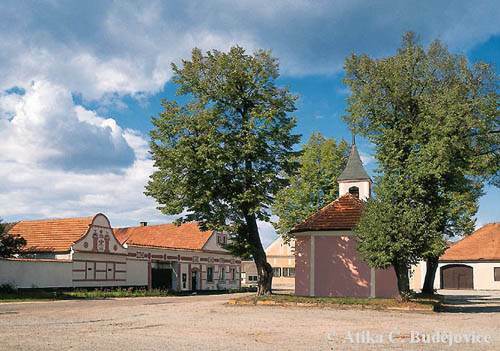 A South Bohemian village lying in the hollow of České Budějovice basin, presents us with a unified ensemble of a harmoniously planned and excellently preserved rural architecture. Like other villages set in the marshlands of České Budějovice and Soběslav, its peasant dwellings have picturesque gables decorated in stucco, their entranceways lining spacious oblong open areas with a little chapel. 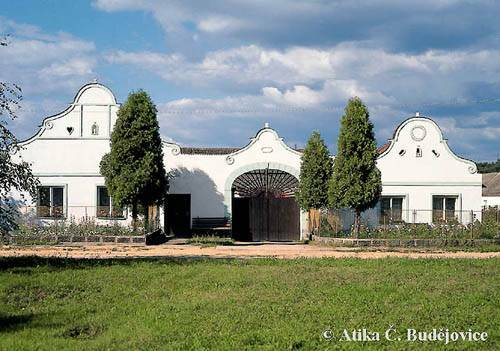 Most of the dwellings in Holašovice were built between 1840 and 1880. Ponědrážka. 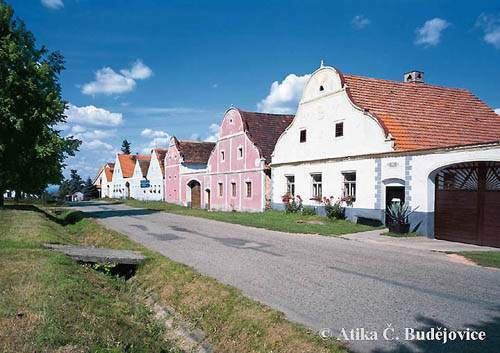 A village is one of the most well preserved collection of farm settlements from the 19th century with a characteristic stucco decoration on the front facade. Lužnice. A South Bohemian village situated near Třeboň, is now a collection of national architecture from the second half of the 19th century. The farmhouses and settlements have, for the most part, their front facades richly decorated in stucco ornamentation.